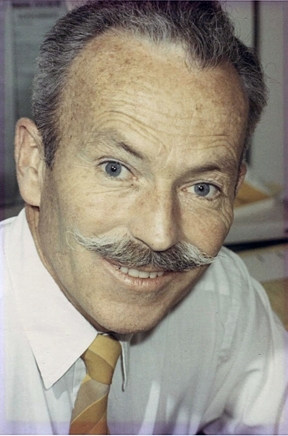 Noted insect physiologist Charles L. Judson, a UC Davis emeritus professor of entomology widely recognized for his work on the feeding and oviposition behavior of mosquitoes, died July 26 from complications of Alzheimer's disease. He was 88. 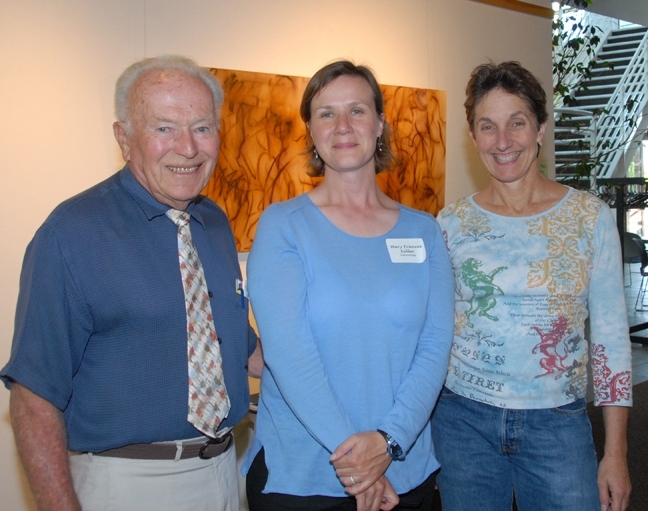 A resident of Davis, Judson served as a faculty member of the UC Davis Department of Entomology (now UC Davis Department of Entomology and Nematology) for 30 years, from 1961 until his retirement in 1991. "The Department of Entomology and Nematology lost one of its pillars with the passing of Dr. Judson," said Michael Parrella, professor and chair of the department. "Although the department's national and international reputation is based on the work of current faculty, it cannot be denied the prestige of the department can also be attributed to our retired faculty. It sounds clichéd, but we are standing on the shoulders of giants and Dr. Judson was one of these. Dr. Judson continued to be an active member of the department -- coming regularly to our seminars and participating in social events. Up until a few years ago, he helped teach our core course in Insect Physiology. Charlie Judson's contributions to the science of entomology and to the department will never be forgotten." Born Oct 21, 1926 in Lodi, Calif., Charles grew up on a ranch in Riverside, where he developed and nurtured his passion for the outdoors, nature, science and animals. He enlisted in the U.S. Navy during World War II, serving on the USS Wichita. He received his bachelor of science degree in zoology from UC Santa Barbara in 1950, and his doctorate in entomology from UC Berkeley in 1954. He and his wife, Marilyn, and family moved to Davis in 1958 when he accepted a position with the California Department of Public Health. He joined the UC Davis faculty in 1961 as an insect physiologist professor. He was a 35-year member of the Entomological Society of America. 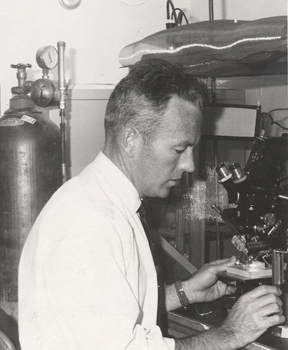 Charles Judson in his lab, circa 1970. The couple raised three children: Todd, now a pilot who lives in Sacramento; Bruce, an engineer living in San Luis Obispo, and Jan, a nurse practitioner at the UC Davis Student Health Center. They provided them with four grandchildren, Nik and Karli, children of Jan and Larry; Andie, daughter of Bruce and Joan; and Leah, daughter of Todd and Kay. They shared his love of the outdoors and his sense of humor. “Charles enjoyed his work as a researcher and student advisor and often would invite students to his home, maintaining lifelong relationships,” Marilyn said. 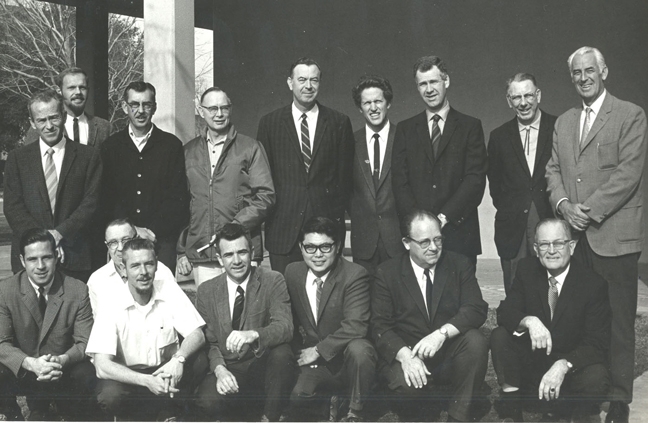 Hagedorn completed a Ph.D. with Professor Judson in 1970 and then went on to become internationally recognized for his research that led to the development of a model for understanding the multiple roles of hormones in the development of mosquito eggs. Many of Professor Judson's colleagues praised him as an excellent scientist and wonderful friend. Said distinguished professor of entomology James R. Carey: "Charlie Judson radiated graciousness, trust and respect, and personified everything good in a university scientist, mentor, and teacher. He not only helped shape our department in its early days, but also set a very high bar for personal decency and professional integrity. Colleagues like Charlie are hard to find, difficult to lose, and impossible to forget." As an aside, Batchelor said he sometimes saw Professor Judson feeding his laboratory mosquitoes by putting his whole arm in their cage—“when the hamster was having a day off.” Professor Judson commented that feeding the mosquitoes this way was not putting his health at risk, “but rather the health of the mosquitoes exposed to low levels of nicotine and alcohol residues in his blood!” Batchelor recalled. In addition to his teaching and research, Professor Judson was actively involved in the community, working with Habitat for Humanity, Yolo County Court Appointed Special Advocates (CASA), Yolo County Grand Jury, Yolo Family Service Agency, Sierra Club, Short-Term Emergency Aid Committee (STEAC), Senior Learning Unlimited and All Things Right and Relevant. His parents met on the UC Davis campus when both were students at UC Berkeley and were required to spend a year at “The Farm” because of their major. His father help plant the black walnuts on Russell Boulevard. At his request, no memorial service will be held. The family will gather during the holidays to scatter his ashes in Monterey Dunes, sharing fond memories of beachcombing, digging holes in the sand, and just being together as a close-knit family. Professor Judson was a strong believer in “walking the walk” by acting on his integrity and beliefs, his family said. In lieu of flowers, he would ask that people “pay it forward” by reaching out to another person or group. 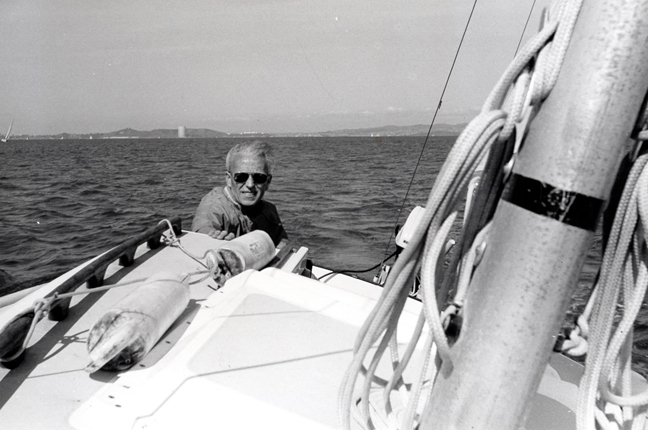 Charles Judson sailing, 1989. This is one of the family's favorite photos of him. I was a graduate student in Agric Chemistry-Biochemistry when my wifeHelen, served as a Research Associate with Prof. Judson, in the 1970s. I usually visited my wife in Judson's lab and helped in feeding his mosquitoes by poking my hand into the mosquito chamber. It itched initially, then I could not feel the pain anymore. Helen and I were invited into their home a number of times and when Helen visited the Philippines, Charles and Marilyn graciously, invited me for dinner, by myself. Prof. Judson was a true professional and treated everybody with respect.